Attorney Joseph (Joe) Bernard has been practicing law for over 20 years statewide in Massachusetts. Attorney Bernard was in the District Attorney's Office for approximately four years and for the last eighteen years has been doing a great deal of criminal defense. He has tried well over four hundred cases throughout Massachusetts. For over twelve years, Attorney Bernard was a member of the CJA panel in Western Massachusetts. As of late, Attorney Bernard has focused almost exclusively on representing individuals charged with driving related offenses. Joseph Bernard has always had an interest in the area of the area of the law. In 2012, Attorney Bernard attended and successfully completed the certification process from the National Highway Traffic Administration (NHTSA) to administer standardized field sobriety tests. 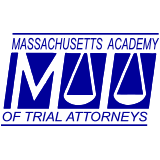 Attorney Bernard is actively involved in presenting lectures as well as being involved with the Massachusetts Bar Association, MCLE, and other continuing legal education agencies, specifically within the area of driving under the influence. He also co-wrote a chapter concerning trial preparation for the 2007 edition of Trying OUI Cases in Massachusetts, published by Massachusetts Continuing Legal Education, Inc. (MCLE). Furthermore, Attorney Bernard became involved with the Melendez-Diaz challenge in Massachusetts. He represented a woman in the Appeals Court (79 Mass. App. Ct. 1129 (2011) which was one of a group of cases decided by the Supreme Judicial Court within Commonwealth v. Zeinnger 459 Mass. 775. More recently, over the last 2 1/2 years, Attorney Bernard has been challenging trial courts in Massachusetts attempting to get a court order to obtain training on the Draeger 9510. He has had an ongoing dialogue with the Draeger company attempting to convince them that Massachusetts lawyers need and deserve training on this machine. Upon information and belief, this is one of the only pieces of forensic equipment not available for viewing or purchase on the open market. Now, Attorney Bernard is a lead defense attorney in Commonwealth v. Ananias. He is actively involved in the discovery violations and frequently attends hearings in the Concord District Court. While doing this, Attorney Bernard is able to further his knowledge on the breathalyzers used in his own DUI cases that he represents. Expanding his knowledge on the science behind the breathalyzers is a key aspect of Attorney Bernard's defense strategy. 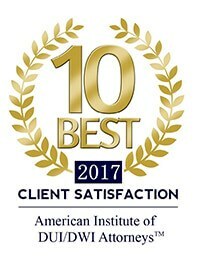 Attorney Bernard was recently recognized for all of his hard work in Commonwealth v. Ananias and was named Massachusetts Lawyer of the Year in 2017 by Massachusetts Lawyers Weekly.